Indian mobile manufacturers have recently entered the Windows phone market. Now we are finally starting to see the result of it. 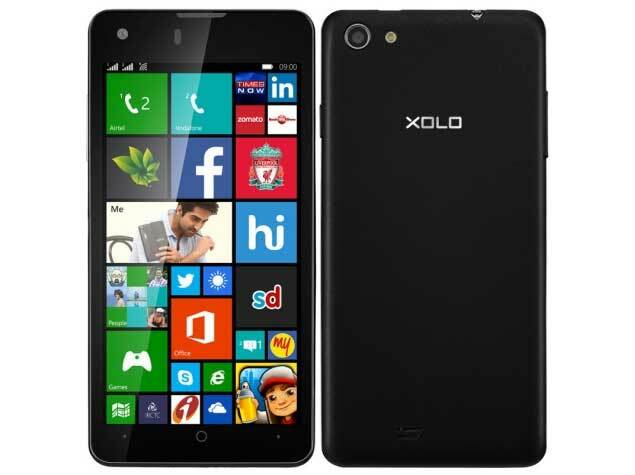 While the leading mobile company of India Micromax announced two new windows phones, companies like Xolo might have taken the spotlight with their new Win Q900s. The first thing you will notice about the device is that it’s light. It is perhaps one of the lightest smartphones in the world weighing only 100 grams. In comparison Samsung Galaxy S4 mini is said to be the lightest among Android phones with 107 gram while iPhone 5S weighs 112 gram. The device has a body of 135x67x7mm and comes with a 4.7 inch HD display giving it a 321 pixel per inch. The display is of IPS OGS variant with a dragon tail glass for scratch resistance. It runs on a Quad Core Snapdragon 200 (MSM 8212) processor clocked in 1.2 Ghz which is mainly based on a Cortex A7 architecture. The GPU is Adreno 302 clocked at 400Mhz. It has 1GB of Memory and comes with 8GB internal storage but you can expand the storage upto 32GB via MicroSD slot. The phones comes out of the box in Windows Phone 8.1. For the image taking part the phone is equipped with a 8MP camera with Purecel Sensor, Autofocus and LED flash and the front has a 2MP snapper as well. For connectivity it has dual sim support with 3G HSPA+, wifi 802.11 a/b/g/n, bluetooth and GPS. The phone runs on a 1800 mAh battery promising a 246 hrs of standby time and 14 hrs of talktime on 3G. You can get around 20.5-30 hrs of music playback depending on the headset usage. The phone is available in India via Snapdeal for an introductory price of Rs. 9,999 ($168). The original price is Rs. 11,999 ($201). LG G Watch Vs Samsung Gear Live – Which is Better? wow!! a great phone indeed. i love this phone! !